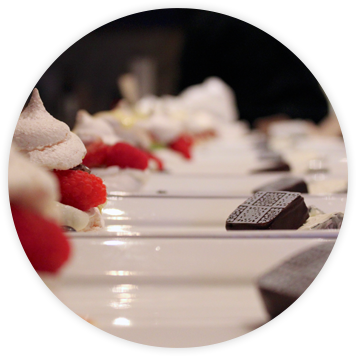 At Seventh Heaven Event Catering we are architects of fine food and exquisite food presentation. 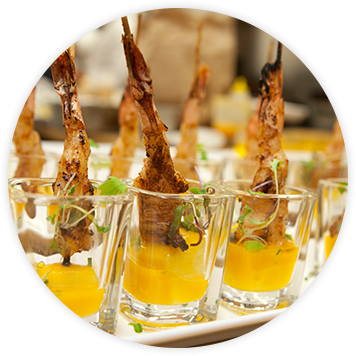 Our talented event catering consultants will take you through the process of menu creation and event planning. We can help organize all rentals for your event including venue selection, décor, audiovisual, entertainment needs, and much more. Then when it comes time for the big show, our professional event staff ensures everything runs smoothly, that every morsel is in its place, and that every guest is treated with the utmost respect. From the smallest and most intimate settings in a private room or at your own home to the grandest of balls, we have the experience and expertise to provide a flawlessly catered event. At Seventh Heaven Event Catering, we are no strangers to corporate functions, product launches, exhibitions, or any other type of event. Whether you have a particular event in the works or need the most efficient setup and break down for a business meeting luncheon, our professionals can help you meet your satisfy your bottom line. We are more than your average catering company. 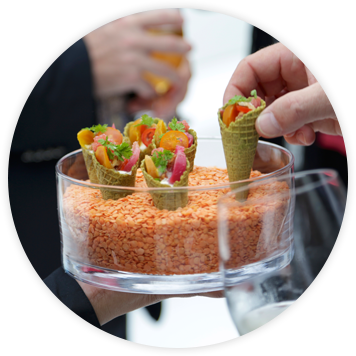 While we have a passion for food and produce some of Toronto’s finest, we endeavour to assist clients with everything they need for a successful event. Our first rate culinary team provides both delectable and visually pleasing food from hors d’oeuvres and canapés to full course seated dinners and tempting desserts. Let our chefs fashion a taste experience your guests will be sure to savour. Together, all the possibilities you have been imagining can be explored and developed with a little extra panache. Everybody has a place around our tables. Let our culinary professionals know about any dietary considerations you would like built in to your menu, including gluten-free, kosher, halal, vegetarian, or vegan options. If nothing else, we aim to serve with style and grace. 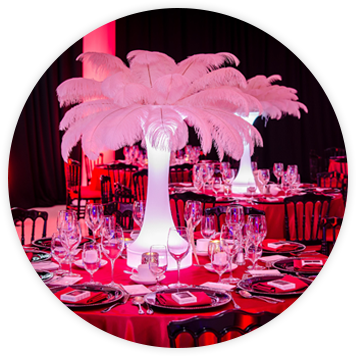 Seventh Heaven Event Catering recruits only the most professional staff to ensure all events go off without a hitch. We know that exceptional support produces the most successful events because good support allows you to focus on the real purpose of the unfolding event. With our tried and true staff at hand, everything is sure to run smoothly. Seventh Heaven Event Catering never underestimates the importance beverage service can have on the overall feel of your event. Our group of industry professionals can create specialty cocktails to match your theme or desired taste. Our bar team can provide expert black tie service or engage your guests by adding a little flair to the service. We customize each bar package to suit your event needs. From a basic bar to premium top-shelf offerings, a champagne-infused affair to soft beverage service only, we have you covered. At Seventh Heaven Event Catering, your final invoice is always based on consumption during your event—if we do not open it, then you do not pay for it. When event planning, there are always a few other things that need taking care of that you might not have realized—or you don’t care to deal with. We will take those off your plate too. 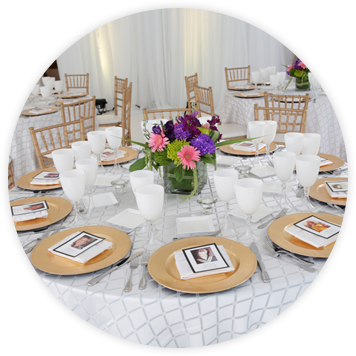 What if you want to host your event outside the Greater Toronto Area? We like to travel! We would like to serve you wherever suits you best. Please contact us to discuss your out-of-town event!